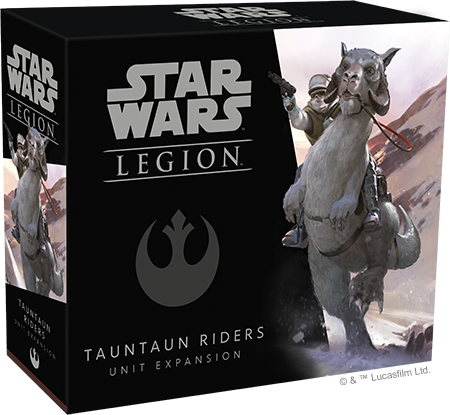 Tauntaun Scout! We finally got them! Omg these look awesome. Still getting painted in endor scheme though. Interesting that they have a new "Ram" keyword instead of "Charge." This is gonna be fun!! 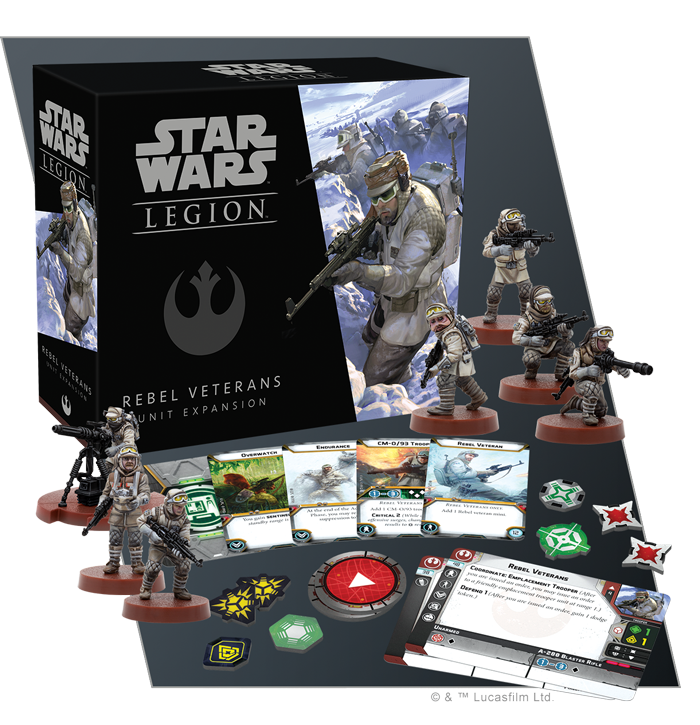 @TauntaunScout Are you pleased with FFG now? Let’s all mention @TauntaunScout and create a disturbance in his email / the force. About time!! **** this makes me happy. Nice sculpts, plenty of aliens and women figures! 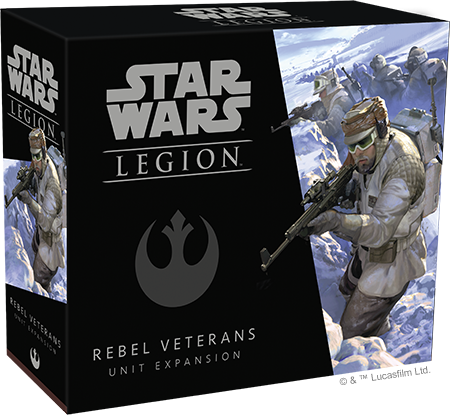 Well done FFG Well done. Now that is out of the way, there are some interesting mechanics to parse with these two units. 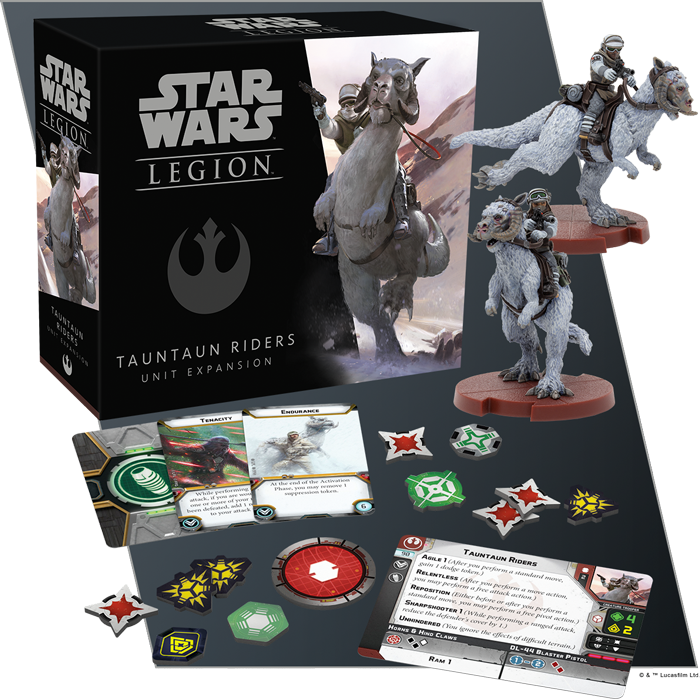 Coordinating 1.4 FD's, whatever RAM 1 does, Tauntauns being some type of Trooper unit and what that does for things like Breakthrough...definitely game-changers. Eh, this news seems kinda luke warm, I think itll freeze over before it reaches the first marker. Have to say, these look very good. 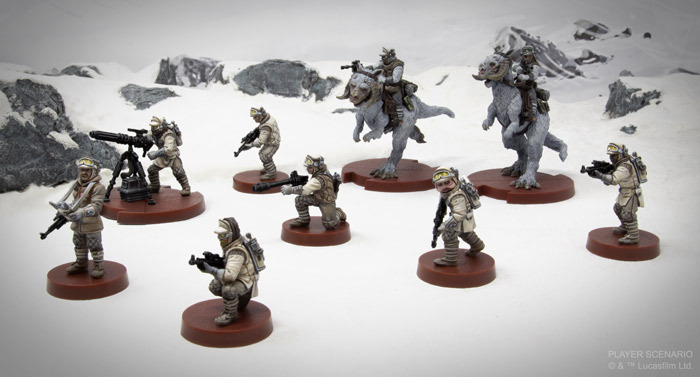 The Hoth Troopers (sorry, Rebel Veterans ) have some interesting differences from other Corps units. I look forward to seeing more about how the Medium Blaster can work on its own. 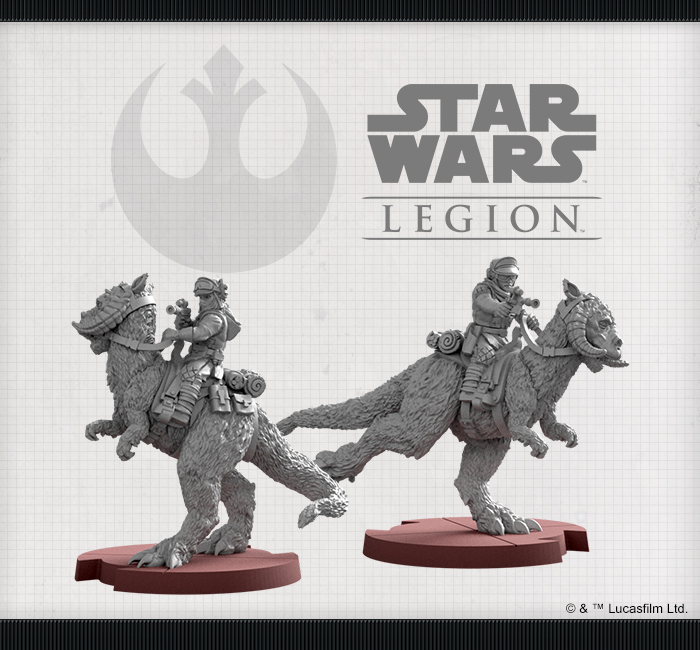 Based on this, I imagine the next wave for the Empire will be Dewbacks and Shoretroopers (which I think are an Imperial Veteran unit). 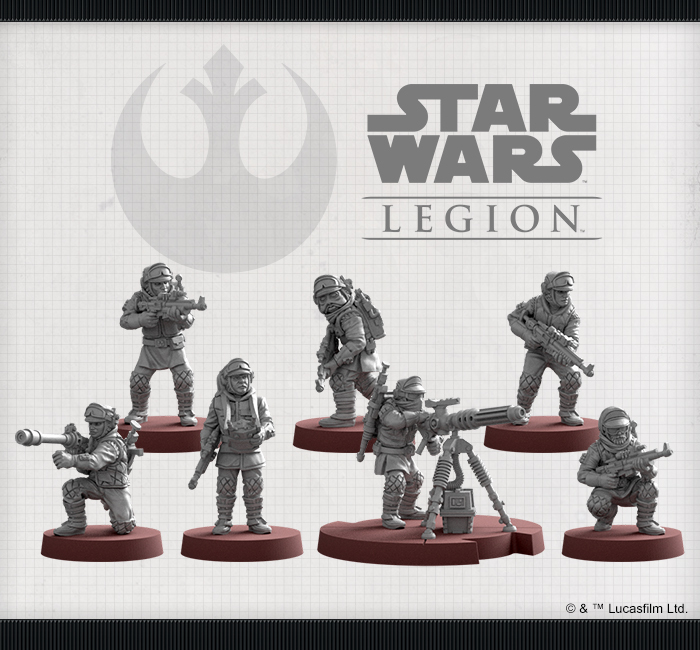 I would like to have seen Imperial Navy Troopers, but I think the Shoretroopers seem a bit more likely. They are support, yes, but they are also troopers. You're getting confused with corps. They have Relentless, they don't need Charge. Ram is a weapon keyword instead of a unit keyword like Charge anyway. Yuuuuup. My bad--and tbh, I just wanted to tag you know who. @MasterShake2 throwing 4 red dice, etc would support the **** out your other units. It's fire support. They can't hurt us if they're dead! But seriously, this unit takes basically 5 actions a turn. If you double move, you get 2 dodge tokens and a free attack action. Tauntaun charge! I'll see you all in ****! And you can pivot before/after you move. For free. Came here like everyone else to watch @TauntaunScout lose his mind. My server access files are on my work computer, and I took the day off because my car broke down. My response to the news of tauntauns is Luke warm at best..